A lucky loser and a certain player named Rafa go for Roland Garros history, and the ‘Tower of Tandil’ will try to go where he hasn’t been since 2012: ATPWorldTour.com previews Saturday’s third-round action at Roland Garros. For Nadal, if he wins the opening two sets against Gasquet, the Spaniard will have won his past 33 sets in Paris and will have broken his previous longest streak of 32, set in 2007-09. Only Bjorn Borg owns a longer streak at Roland Garros: 41 consecutive sets from 1979-81. And then there was one. Eight lucky losers saw their names in the Roland Garros main draw at the start of the week, including Argentine Marco Trungelliti, who drove from Barcelona to Paris for the opportunity. But only one has the chance to reach the fourth round. No. 136 Jurgen Zopp of Estonia faces Maximilian Marterer. The 22-year-old German is already in the Top 70 of the ATP Rankings and has a chance to post his best Grand Slam result during his Roland Garros debut by making the Round of 16. 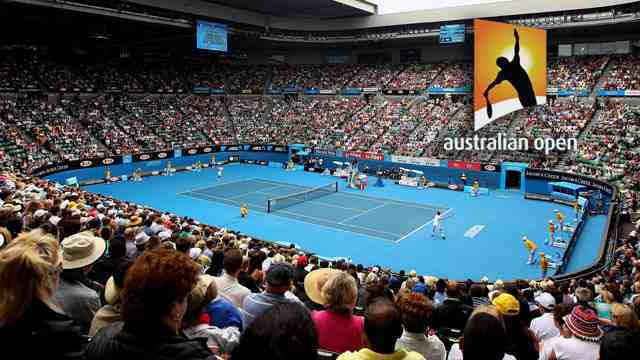 The left-hander also reached the third round at the Australian Open in January. Zopp, however, can win one for all of the lucky losers out there. He can become only the 10th lucky loser to reach the fourth round at a Grand Slam in the Open Era and the first since France’s Stephane Robert at the 2014 Australian Open. Since April 1968, when the Open Era began 50 years ago, only four lucky losers have gone where Zopp is trying to go, but he’ll be in good company if he can make it three in a row. The most recent lucky loser to make the Roland Garros Round of 16: David Goffin, 2012. Two Frenchmen down, one Spaniard to go? Juan Martin del Potro has played the villain well so far at Roland Garros, beating Nicolas Mahut and Julien Benneteau to make the third round. But the fan favourite Argentine should have the crowd on his side when he meets 31st seed Albert Ramos-Vinolas of Spain. It’s been six years and three wrist surgeries since Del Potro played in the Round of 16 in June 2012. He also hasn’t won three consecutive clay-court matches since that fourth-round run. To Ramos-Vinolas, the Round of 16 is old hat. The Spaniard has been there the past two years, and he hasn’t dropped a set so far this fortnight in beating Mikhail Kukushkin of Kazakhstan and #NextGenATP Norwegian Casper Ruud. The left-hander is 6-32 against Top 10 players, including 1-6 of late, according to his FedEx ATP Win/Loss Record. But that one win came just two weeks ago in Rome against American John Isner. The Great Britain men’s team are into the final of the wheelchair tennis World Team Cup in Apeldoorn, Netherlands after victory over Belgium. Gordon Reid, the world number six, gave GB the lead with a comfortable 6-0 6-1 victory over Jef Vandorpe. World number one Alfie Hewett then defeated Joachim Gerard 6-3 2-6 6-2 to secure the win. But the GB women lost 2-1 to China in their semi-final and will now play off for bronze. Louise Hunt was beaten 6-0 6-2 by Huimin Huang before Lucy Shuker levelled the tie with a 6-4 7-5 success over Zhenzhen Zhu. But Hunt and Shuker lost 6-1 6-3 to Huang and Zhu in the deciding doubles, which was delayed because of rain. Sunday’s decider against France or Japan will be a third final in four years for the men’s team, who won gold in 2015 and took silver last year. “Today was the biggest test we’ve had but we came through strongly,” said Reid. Hewett added: “As a team, we’re undefeated so far and feeling confident going into the final. “We obviously want to win it – we came here to win and we’ve got ourselves in a good position. It’s a credit to the team and everyone around us”. 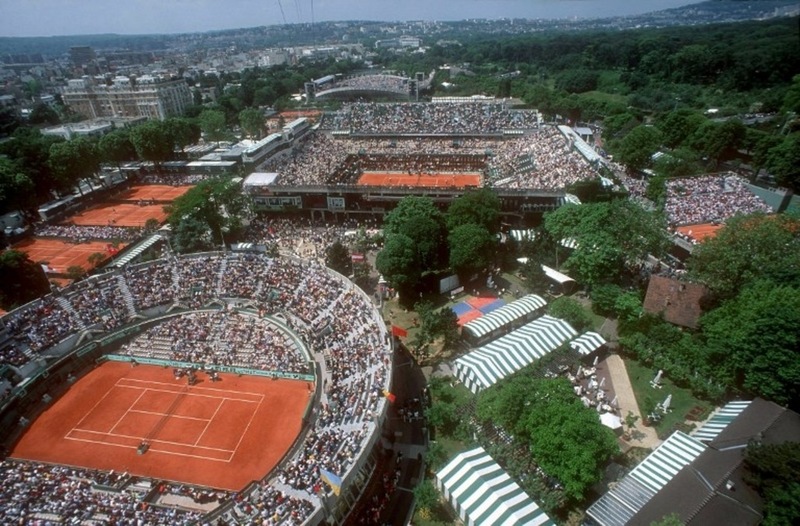 All eyes are on the Parisian terre battue, as the ATP World Tour’s stars slide and glide across the red clay at Roland Garros. But elsewhere, some people’s focus is completely on something else: grass. 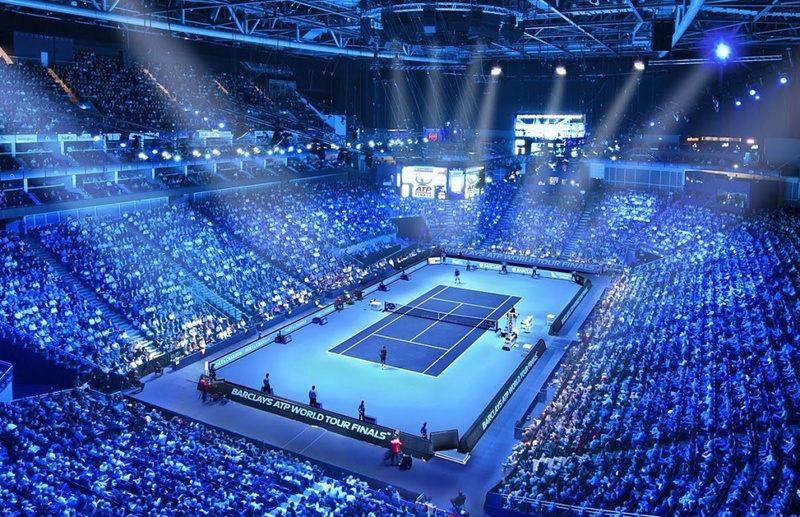 In just more than a week, the players will begin the grass-court swing during which six ATP World Tour events — two at the 500-level and four at the 250-level — lead into Wimbledon, with the Dell Technologies Hall of Fame Open held directly after the year’s third Grand Slam championship. The Gerry Weber Open, which will take place from 16 to 24 June 2018 in Halle, Germany, is undergoing final preparations, as the crew works to prepare Gerry Weber Stadion for the wear and tear of the world’s best tennis. Roger Federer will seek his record tenth title, World No. 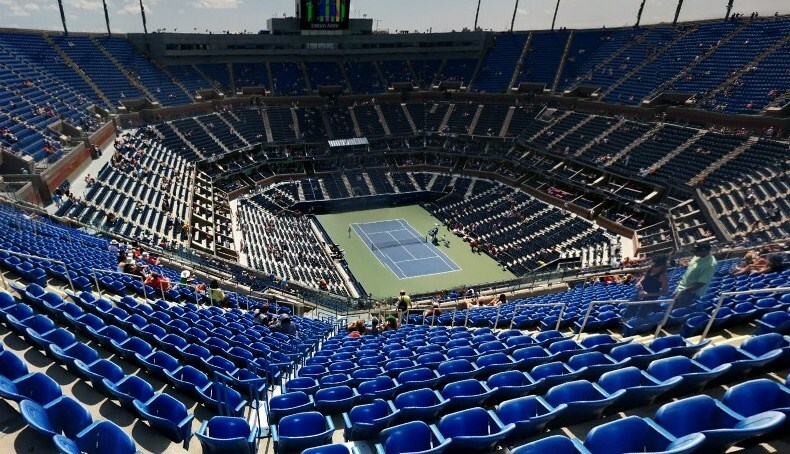 3 Alexander Zverev will attempt to capture his maiden grass-court trophy and other stars including Dominic Thiem and Miami winner John Isner will look to make their mark. And while you may not think about it during the tournament, the grass is not simply rolled out like a carpet. 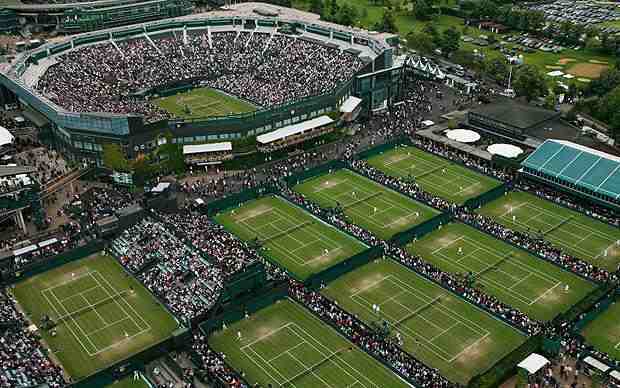 Instead, forklift trucks transport 400 two-by-one-metre lawn tiles to the site to construct the 800-square-metre Centre Court. Those 800-kilogram tiles, according to the event’s Tournament Director, Ralf Weber, are the key to the tournament. A Lolium mixture helps the surface withstand the brunt of world-class play, with the seed providing a high-load capacity. So while the best players in the world continue to slide around on the red dirt, the grass courts are being set up for them now. Damir Dzumhur was a class act, as always, on the court against Alexander Zverev on Friday at Roland Garros. His hospitality also extended to the ball kids who worked the third-round match on Court Philippe-Chatrier. After Zverev hit a forehand long, Dzumhur hit a forehand high into the air. The ball was set to land about midcourt on the same side of the net as the Bosnian, who jogged to catch it. But a ball boy, from the side of the court, sprinted to the same spot. Collision. Dzumhur, a 26-year-old ATP World Tour professional, was left standing. But the ball boy lay on the red dirt. Dzumhur consoled the ball boy, and eventually, however, the ball boy walked away on his own. Dzumhur, feeling bad about the accident, left him with a hug and a kiss. Fourth seed Elina Svitolina became the highest-profile casualty in the women’s draw at the French Open after a surprise straight-sets defeat. The Ukrainian lost 6-3 7-5 to Romania’s Mihaela Buzarnescu, the world number 33 who had never won a Grand Slam match before this week. But Australian Open champion Caroline Wozniacki eased into the last 16. Wozniacki, the second seed at Roland Garros, defeated France’s Pauline Parmentier 6-0 6-3. She will next face Russian 14th seed Darya Kasatkina, who beat Greece’s Maria Sakkari 6-1 1-6 6-3. “Today, really, I was off and couldn’t find my rhythm, my game. I was really struggling,” said Svitolina. Play was later cancelled for the day following a heavy spell of rain with eighth seed Petra Kvitova and 10th seed Sloane Stephens yet to start their matches. The German was given all sorts of problems by the world number 29 from Bosnia-Herzegovina before winning 6-2 3-6 4-6 7-6 (7-3) 7-5. It is a second five-set win in a row for the 21-year-old. But the fourth seed Grigor Dimitrov is out after losing to veteran Spaniard Fernando Verdasco in straight sets. The Bulgarian was beaten 7-6 (7-4) 6-2 6-4 by the 34-year-old 30th seed, who will face Novak Djokovic in the last 16. “You have to draw the line and look for the next chapter,” said Dimitrov, who has failed to make the second week at Roland Garros in eight attempts. Dzumhur served for the match at 6-5 up in the fourth set but was broken to love and Zverev kept the match alive by winning the tie-break. In a drama-filled match, the German led 4-2 in the fifth set only for his opponent to break back and then go 5-4 up. The pressure was on Zverev and he had to save the match point on his own serve before making it 5-5. The scare seemed to inspire him and he broke his opponent one more time before serving out for the win. “It was an amazing, high level match,” said Zverev, who is bidding to become the first German men’s champion in Paris since 1937. Meanwhile, Japan’s Kei Nishikori came through in straight sets against Frenchman Gilles Simon, winning 6-3 6-1 6-3. Novak Djokovic came through a gruelling four-hour match against Spanish 13th seed Roberto Bautista Agut to reach the last 16 at the French Open. The 12-time Grand Slam champion was given his toughest test this year but won 6-4 6-7 (6-8) 7-6 (7-4) 6-2 after three hours and 48 minutes. The Serb, 31, is seeded 20th as he searches for his best form following his return from an elbow injury. “It was a great test. I had to earn my victory,” said Djokovic. He will play Spain’s 30th seed Fernando Verdasco in the fourth round. Verdasco, 34, earned a shock 7-6 (7-4) 6-2 6-4 win over Grigor Dimitrov – the Bulgarian fourth seed and reigning ATP World Tour Finals champion. After a quarter-final defeat by Dominic Thiem last year, Djokovic returned to Roland Garros not expected to challenge for the title following a year disrupted by an injury which needed surgery after the Australian Open in January. A lack of action since has resulted in him dropping to 22nd in the world rankings – below Bautista Agut. But his greater pedigree eventually shone through in a physical encounter on Court Suzanne Lenglen. The former world number one has now made the last 16 of a Grand Slam for the 43rd time, tying with Jimmy Connors on the all-time list. Djokovic’s history with the French Open has been a varied one, having suffered three final defeats in 2012, 2014 and 2015 before eventually landing the prize in 2016 – finally sealing his career Grand Slam with victory over Andy Murray. And he again experienced a range of emotions – delight, disappointment, anger – at Roland Garros in an epic match which ended with two weary players smiling as they hugged at the net. Djokovic controlled the opening exchanges without earning a break point and, after a slight wobble midway through a tight set where the pair traded baseline blows, converted his first opportunity to clinch the set. Momentum continued to flow with Djokovic at the start of the second, breaking at the first chance, only to allow Bautista Agut back into the set when the Spaniard claimed his first break point of the match for 4-3. Bautista Agut saved a set point on his serve at 5-4 down, fighting off two more at 6-5 to force the tie-break, then taking his third set point in the decider to level. That came immediately after a furious Djokovic lost his temper when he missed a simple forehand, breaking his racquet by hammering it three times into the ground, drawing whistles from the crowd as he went to grab a new one. “It was a big point and in these kind of circumstances emotions get the better of you,” he said. Djokovic still had a moody expression when he returned to court for the third set – but that release of anger eventually seemed to work in his favour. That gave him the impetus in the fourth set, going two breaks up before taking his second match point with a thumping overhead that Bautista Agut could not reach. Bautista Agut is one of the most consistent players on the tour having climbed into the world’s top 20 for the first time in July 2014 and not dropping out of the top 30 since. However, he has never been able to break into the top 10 and has struggled to beat higher-ranked opponents on a regular basis. It was anticipated the Spaniard would provide a sterner challenge to Djokovic than any of the Serb’s previous opponents and his fighting spirit – not to mention his all-round game – troubled his decorated rival. But it was remarkable Bautista Agut was even playing at Roland Garros following the death of his mother Esther on 21 May, days before the tournament began. The 30-year-old said he wanted to play to take his mind off his loss. “My life is tennis so I’m used to going inside the court and forgetting about my real life,” he said. “That’s the thing I’ve been doing for a lot of years. The world number 13 put the difficult circumstances to one side as he focused on beating Djokovic for only the second time in their eight meetings. However, he eventually ran out of energy – physically and mentally – as he was unable to reach the last 16 for the third straight year. Alexander Zverev played a dangerous game on Friday, when he came back from the brink of defeat in the fourth set — and saved one match point at 4-5 in the decider — against Damir Dzumhur at Roland Garros for the 150th match win of his career (150-78). Having led by a set and 3-1, the second-seeded German found himself staring down the barrel with Dzumhur serving for the match at 6-5 in the fourth set and later on serve at 4-5, 30/40 in the fifth set. But Dzumhur, the No. 26 seed from Bosnia and Herzegovina, blinked and Zverev fought back to complete a 6-2, 3-6, 4-6, 7-6(3), 7-5 win in just under four hours on Court Philippe-Chatrier. Zverev, the winner of 19 of his past 21 clay-court matches, also came through a tense five-set victory over Serbia’s Dusan Lajovic in the Roland Garros second round. He will now recharge and prepare to face French No. 15 seed Lucas Pouille or Karen Khachanov of Russia in the fourth round, which equals his best Grand Slam championship performance (2017 Wimbledon). Should Zverev’s older brother, Mischa Zverev, beat No. 6 seed Kevin Anderson of South Africa on Saturday, they would become the third pair of brothers to reach the fourth round at the same major championship in the Open Era (since April 1968) after Sandy Mayer and Gene Mayer at 1979 Wimbledon and Emilio Sanchez and Javier Sanchez at the 1991 US Open. The 21-year-old Zverev captured ATP World Tour titles at the BMW Open by FWU (d. Kohlschreiber) and the Mutua Madrid Open (d. Thiem), in addition to a runner-up finish at the Internazionali BNL d’Italia in Rome (l. to Nadal). He has a 33-8 record on the season and leads the ATP Race To London, for one of eight spots at the Nitto ATP Finals in November, at The O2 in London. So solid on serve was Zverev that through his first five service games, he’d only lost four points and as he took a 3-1 lead in the second set, with 44 minutes on the match clock, Dzumhur had barely challenged the smooth, powerful game of the German. Yet, in a 19-minute passage of play, Zverev lost focus on serve and Dzumhur found his rhythm to win five straight games. Dzumhur continued to play closer to the baseline and bided his time. He regrouped after Zverev recovered from 0/40 at 3-3, by winning eight of the next nine points for a 5-4 advantage. He clinched the set, having saved two break points. The 26-year-old took a 4-2 lead in the fourth set, and the prospect of a big upset was on the cards. Zverev kept fighting, tightened up his ball-striking and moved into the net to recover to 5-5. But at 5-6, the pressure began to tell. Zverev double-faulted on Dzumhur’s second break point and as the Bosnian went to his courtside chair, he contemplated serving for the biggest win of his career. Dzumhur blinked, dropping his serve to love and never recovered in the tie-break, which saw Zverev win five of the first six points. Zverev carried the momentum into the decider, breaking in the first game, and after a brief rally from Dzumhur, the 21-year-old German moved into a 4-2 lead. The drama hadn’t ended. Dzumhur dug deep and came within one point of winning four straight games. Zverev hung tough, in three lengthy games, and broke for a 6-5 lead prior to holding to 30 for a memorable win.